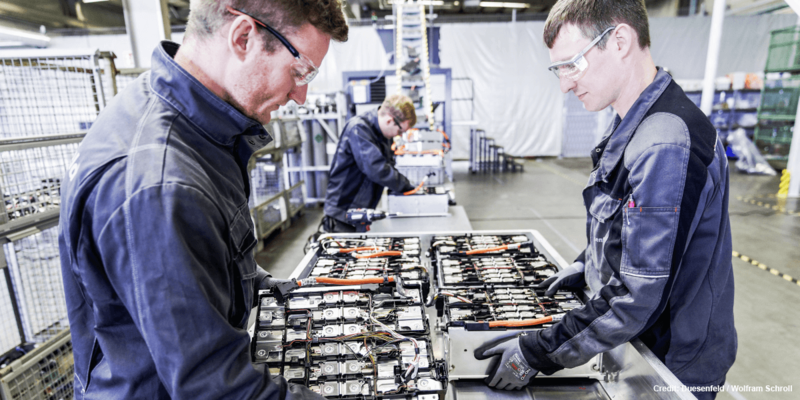 The specific goal of the centre, which is managed by the Argonne National Laboratory together with the National Renewable Energy Laboratory and the Oak Ridge National Laboratory, is to increase the collection and recycling rate of lithium-based batteries from electric vehicles, consumer electronics and other applications from currently only 5 to 90 per cent. In this context, the Department of Energy has launched a competition for innovative recycling models, including a prize worth 5.5 million dollars. Universities, private initiatives and national laboratories are invited to submit their proposals. Overall, investments of 15 billion dollars have been budgeted for. Update 19 February 2019: The U.S. Department of Energy has now opened the research and development centre for the recycling of critical materials such as lithium and cobalt from lithium-ion batteries announced above. The so-called ReCell Center is supported by the Department of Energy with 15 million dollars over a period of three years. The DOE has a goal of lowering the cost of EV batteries to $80 per kilowatt hour, which could be achieved if recycled materials from lithium-ion batteries are reused in new batteries, reducing production costs by 10 to 30 percent.